How do you play you ask? Click below to join the club!!! to visit Jodi and her flickr tutorial. how to crochet when I was a girl. bits of yarn that she gave me. of granny squares even way back then! my idea for the quilt along started. some of my leftover fabric! was to use up leftover fabrics. Do you have orphaned precuts too? This block is perfect for precuts!!! want to be without one! and why I make them. Have a quilty kind of day my friends! Yeah!!! Sew glad you have inspired me to do this project. I have been pinning projects for months and now I am finally going to do it! Would love to be a granny...beautiful project! Thanks for the great tutorial Lori. Your blocks are just stinkin' cute! Joined the flickr group, and LOVE the extra round of color!!! Yes, I will be doing this :) DARLING! Love your tutorial and the baby to great grandma rounds! How clever of you! Would love to win the jelly roll! I have been itching to make some of these granny blocks since they first started popping up all over blog land. Now is the perfect time to do it! I am going to get started right away, Lori. I love it! Wonderful, I've been wanting to make one of these since I first saw them and bigger blocks are even better! I'm heading off to join the Flickr group right now. Good morning, I have joined the group and flicker group as well. I have finished one "Granny Square" quilt and want to make a mini! Thanks for being the hostess! I am totally, completely 100% IN! You girls really do inspire me! Thank you Jodi & Lori! I'm in too! Can't wait to get started. I have a jelly roll of "Sew Cherry" that I haven't cut into yet. Now is the perfect time to start. Thanks Lori for the fun post and chance to win as well as the great tutorial! What fun. I have been wanting to give this a try and now you have given me the perfect excuse to start a new project. Can't wait to get started. Granny Squares, and now Great Granny Squares have been on my to-do list for a while. They make such great scrappy quilts! I will join this quilt along, and have joined the Flickr group. I will not be able to start actual sewing before I return home from my vacation later this month, though, so my contributing blocks will come a little later. But it is good to have a goal! I want to join! I'm always wanted to make the granny sq quilt for myself! I joined, and think I have the fabric ready I want to use. This is one of the blocks I have wanted to do, yea!!! I have been contemplating doing a granny blocks for ages now this is perfect timing to get going and take the plunge, I am IN!! I'd love to do this- hopefully I find the time! I have been wanting to make one of these quilts and now I think it is time. thanks for the tutorial and a chance to win some fabric. off to join the flickr. I'm in. I have been waiting for this. How fun. You make it fun. Lori, you are such a temptress! Yes, of course I am joining you and Jodi! I have the Granny Squares on my to-do list and I like the fact that yours are even larger. I just joined. I really need to quilt more and this sounds like a lot of fun! I'm in...I have seen several granny sq quilts around...Now the Great granny...Off to buy fabric as I do not have a large scrap bag...You and Jodi are so full of great ideas....Don't have a blog..follow you and Jodi..You girls ROCK!! woohoo! What fun! I've had granny blocks on my list of projects for a while and this is just the motivation I need to get started! Just joined the flickr group and looking forwrad to seeing the creativity! I love granny squares and am thrilled to be part of the great granny along. I am headed to my studio now to dig thru my stash. I'm in! You and Jody inspire me! I'm in! Sounds like sew much fun as I have been wanting to make this block! 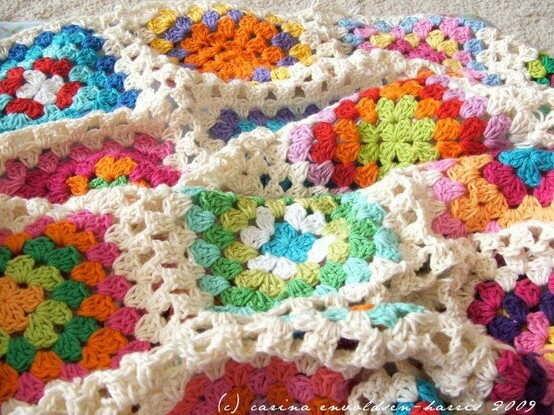 Looks like a fun project; just like the old granny squares I used to make! Love it!! Lori -thank you so much for doing this tutorial and for the fantastic giveaway! I am getting started right away on this one! of course your granny blocks are four generational! i love that you named the rounds. i "pinned" a sew cherry granny squares quilt just yesterday. it's adorable, but i love your with the extra row even more. I've been wanting to make one of these and this quilt along came at the right time. I've joined the Flicker group and will start looking through my fabric. Thanks for the giveaway. Just trying to thump out a problem with flickr (grrr), I'll keep at it. This design is fantastic and I know exactly what I'm going to do with my finished quilt. Your quilt is absolutely stunning. I'm in and have joined the Flickr group! Yay! I'm in and have joined the flickr group as well. I love granny blocks both crocheted and with fabric so this will be alotof fun :) !!!! I'm joining! Looking forward to the GGA...had been tempted to make some granny squares but I'm glad I waited because now I'll get more bang for my buck size making Great Grannies! I'm In! Sounds like Great Granny Fun! thanks so much for this wonderful post & the tutes....very inspirational. Millie's Closet would make for awesome granny square blocks! What the heck, I'll join in the madness, er, fun. I'm still working on my Sew Cherry granny square quilt, but another would be fun. I've got some PKM scraps that need a good home. Granny squares have been on my list and GREAT Granny Squares just might be the ticket! I have joined the flickr group. Now I just need to get my daughter married on Saturday and my out of town guests back on the road and THEN I can play! Got an email from Jodi and had to come check out the fun. I love Granny squares, but haven't done any yet, so this is the perfect time. I joined the Flickr group (PurdueLiz) and I'm gonna dig through my stash this afternoon! These are so fun. I've been admiring the granny blocks, but this really takes it up a notch. I've joined the flickr group. Thanks for organizing this. OMG so cute!!! What a clever idea! 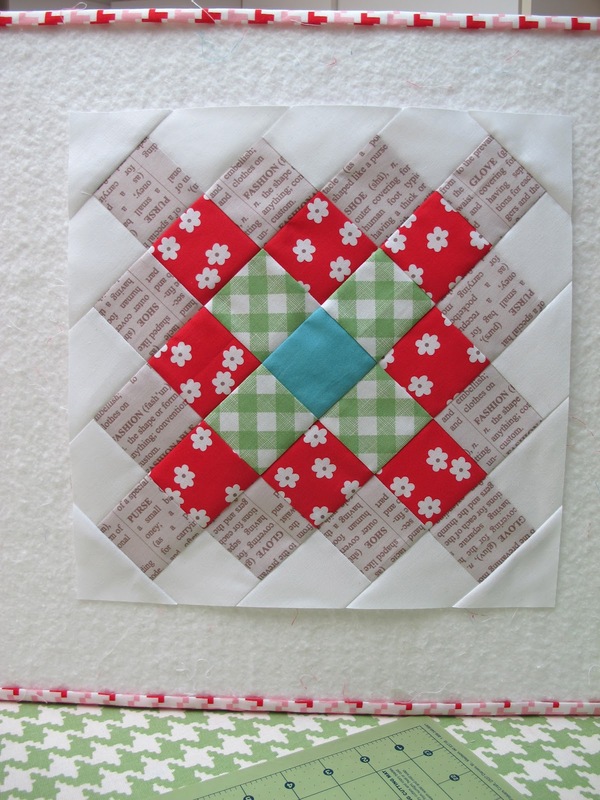 I sew sew want to joint this quilt along...it is so very cute and I like how you made the block bigger!! I would love to win the jelly roll because I love Millie's Closet fabric!!! I am in too. I love this block and I love the idea of making it scrappy. Your fabric line is so cute, thanks for the give away. I joined the Flickr group. I have joined the Flickr Group and I'm looking forward to start the "Great Granny Along"
How could I not join? I love jelly rolls, granny squares AND I found out last week that I am going to be a Great Granny for the first time. I've joined the Flickr group and put your button on my blog. I'm ready to go! I'm in too! This is a classic pattern and Millie's closet would be a fun fabric to make it with. I've had some fabrics set aside to use for "granny squares, so am excited to find this sew along. Count me in! Lori, this is perfect! I just made 2 granny blocks a little over a week ago and fell in love, I can't wait to Granny Along with you! LOL That will teach me to jump ahead and miss the fact that there is a give away! 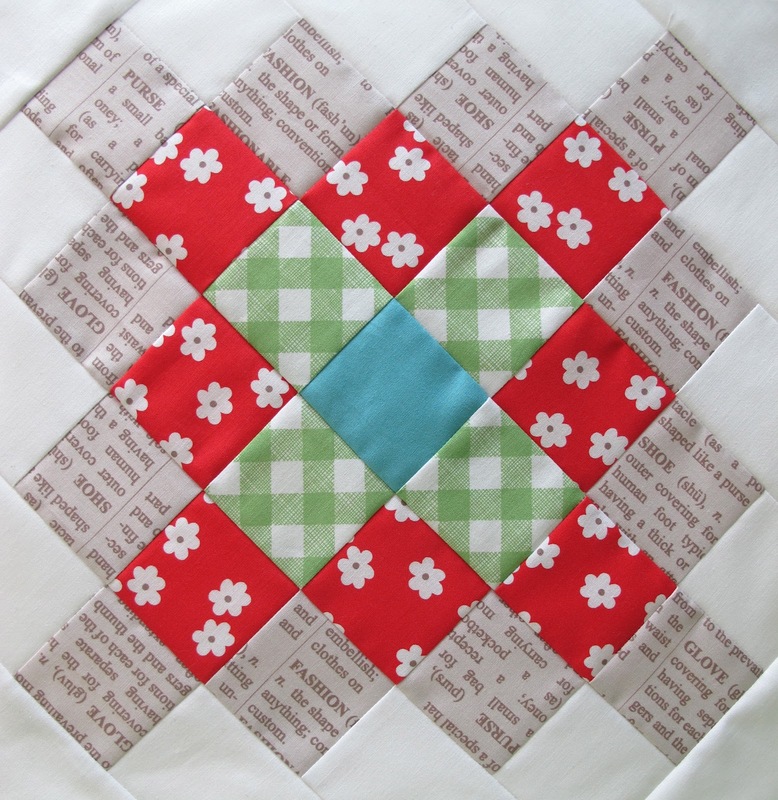 I've already joined the flickr group and am heading to my sewing machine for some new blocks now! oh I tried to avoid any commitments, but I just can't walk past this one! I just joined the Flickr Group and I would love to take part in your giveaway. Ooooooh...maybe I need a Summersville Granny quilt! 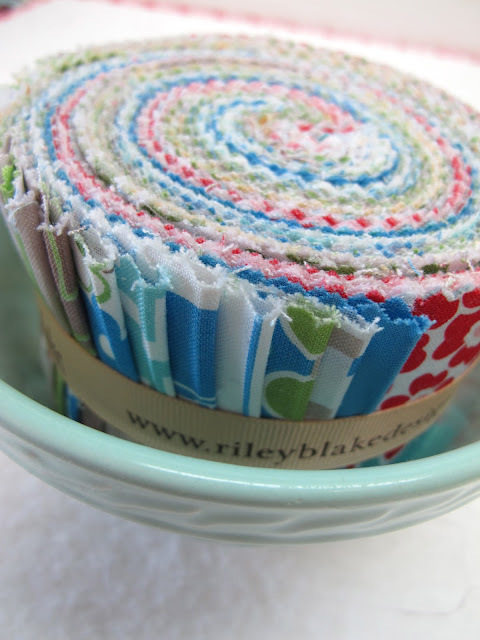 I've been wondering what to do with that jelly roll! So excited! I've been wanting to make some of these cute blocks for a while now, so am excited to join in. I just signed up for the flickr group too. Thanks for the great tute! Of course I will be in this. I have added me to the Flickr group and added the gadget on my blog. But my friend here in Sweden don´t understand what I am talking about. I am loving these sweet blocks. I have been wanting to make a quilt out of these so I am joining your quilt along and have also joined the flickr group. I am loving these sweet little blocks and have wanted to make a quilt for a while now so I am joining the quilt along and I have also joined the flick group. I am so excited! I have been wanting to do one of these since I've seen them all over the web, but I like your version even better. I just signed up for the flickr group (I think I did it right) and am ready to start. Thanks! I can hardly wait to get started! I have so many scraps to use up! I joined the flickr group! Oh my... you are brilliant! I am making twin bedspreads for one of my granddaughters, one of which is a class at a LQS starting 8/21, the second I planned to make the smaller Granny's Square... and now... Oh my oh my... here you are with a better plan still! So sign me up! I was going to wait until after my August class to use left overs that match... but I just can't resist joining in your fun... thanks, thanks, thanks, you're the best ever. I joined the flickr group because I'm joining the Great Granny Along! Perfect for using up my big box of scraps. 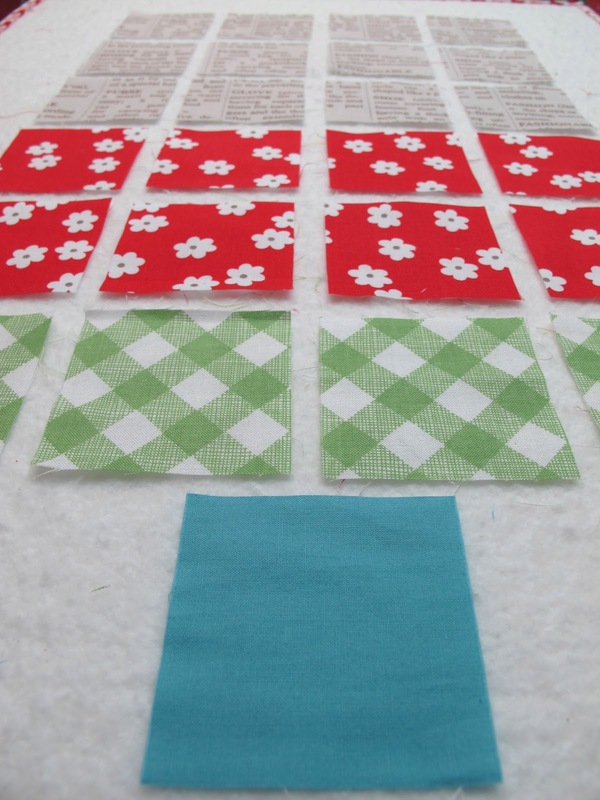 I've joined the Flicker group and now I'm off to start selecting scrap fabrics. I am totally joining the granny square along! I found this on Pinterest, followed over to your blog and now "sew" excited to start! :) Just joined the flickr group and am adding the button to my blog now. I am excited! This sounds like so much fun. Now, I just need to join the flicker group. Along and the flickr group. I'm so excited to get started, love your fabric choice for a give away! Lori i was on Pinterest and saw that you were having a quilt along. I can't believe that i almost missed it. You know i love everything that you do. Since i want to be just like you when I grow up I am joining in on the party. I think that your Milley fabric would be perfect for the retro granny square. I also like your version that is bigger. As always you are awesome!!! Ok. I'm in! No arm twisting needed! I'm super excited to get started but need to finish a few preps for Girl's Camp first. I'm pretty sure I have a flickr account but it's been a while since i've used it so I'll have to check into that and let you know. Thanks to you and Jodi for sponsoring this really Awesome Summer Sew Along! OK I am now signed up for the flicker group. Watch out here I come. Just kidding I am hoping to finish four quilts this week so that I can start to play along here. I have added the button to my side bar to remind me I want to play along after our vacation! I have been wanting to make one of these quilts for a while now. Just joined the flickr group. I already made a granny square quilt earlier this year, but loved making it so much, I'd be game to use up more scraps for this great granny! I've been wanting to make granny squares even though I am not a granny ... I'll call them greataunt squares. Thanks for the chance to enter your giveaway and sew along too. I'm unsure as to what you mean by background fabric, but will re-read some. I'm waiting for flickr to finish the join and don't blog so no button. Dial-up is so slow! Came over from Pleasant Home. This looks like so much fun! I have been wanting to try this block! I joined the flickr group! Thanks for the giveaway! I'm excited to be a part of the Granny along. I joined the Flickr group as NY GirlScout. Thank you for coming up with such a fun idea. This is fabulous! Yep, joining the Granny Along! I've always loved granny squares, and with fabric, it's perfection! Joining Flickr group too. I am in!! I was the 100th member of your Flickr group - WOW!! Thanks for the chance to win - I love Millie's Closet. Count me in. I love this quilt. I can't wait to get started. I'm so excited to make these squares!! I've had black and greens that are already cut into 2 1/2" squares that will be perfect for this project! I'm joining! Can't wait to share. I can't wait to get started with my greens and blacks that I've already cut out!! I'll share with you on flikr soon! I have made some granny blocks, but now I want to make the bigger GG blocks. I would love to join. I really need something to help me get kick stated again. Thank for this chance. It looks like great fun & I love the block. I would love to be apart of this. Looks like fun. I've been needing something to get me kick started. It's been along time since I've been excited to do something quilting. Thanx for the chance. I can't wait to get started. 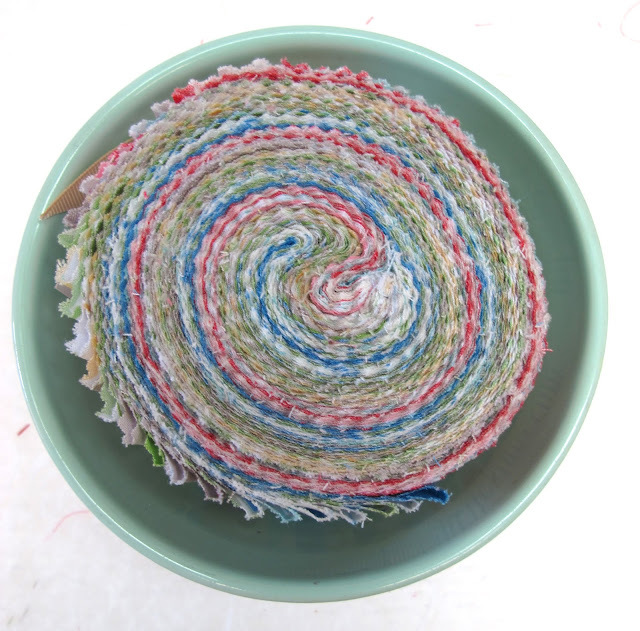 The jelly roll would be a great start to the process. Thanx Lori. You inspired me to join with your tutorial...this will be my first fabric granny squares, I take the challenge...thanks for the chance! I am joining the quilt along...and have also joined the flickr group... your easy tutorial inspired me to do so.Thanks Lori! This sounds wonderful. Have added the button to my sidebar. Going to pull all those left over JR bits, charms, layercake trims. Muslin is always a good backing with almost anything - and that I have a bolt of. I'm in! 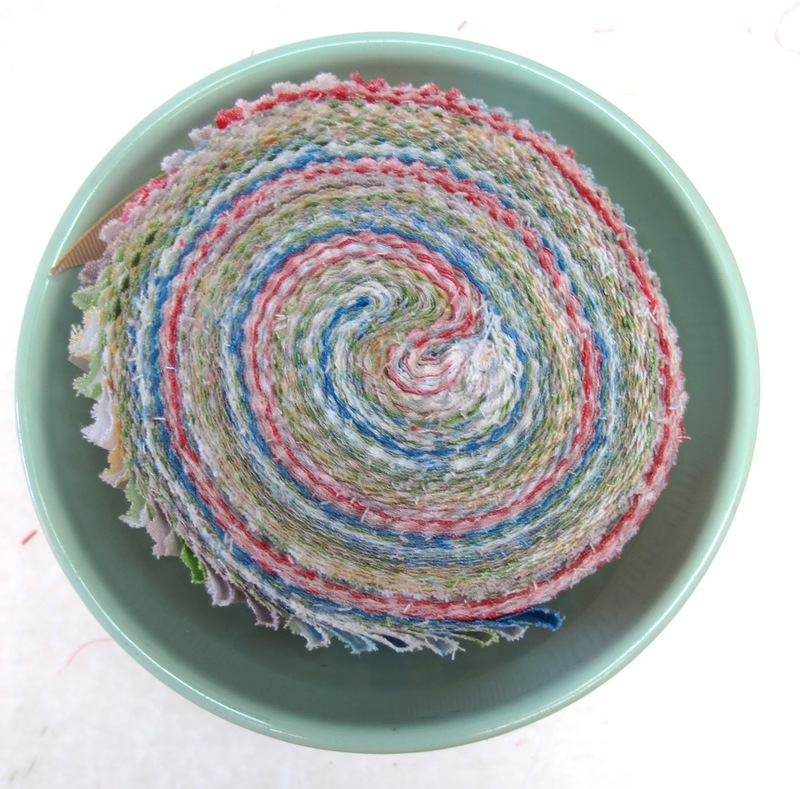 I wanted to use my Curio Jelly Roll for Granny Squares anyway, so the Giant one is perfect! Wonderful tutorial - I'm excited to join since I've been admiring the granny blocks popping up all over blogland. Love Millie's Closet! Can't wait to begin! Your tutorial was a "gotcha" for me and I am joining in to FINALLY use up my bits! I would thoroughly enjoy making the great granny square quilt. I love all of your ideas and quilts. Thanks so much for sharing! I would love to join in on the great granny square quilt. I love all of your ideas and quilts. Thanks for sharing! I LOVE this quilt along - count me in! And LOVE Aunt Millie's Closet fabric! Would Love to win the Granny Roll! Especially since my Mom of 87 will become a Great Granny in November! What a way to surprise her on her 88th Birthday in December with a Great Granny Quilt!! Thanks for the tutorial. I joined the flick group and have my fabric. I have joined!!! Now to decide on fabrics. Thanks for starting this group. love your fabrics. for the tutorials. Keeping my paws crossed for the jelly roll. and check stash for fabric squares. Love the larger blocks Lori! Go - Great Granny - Go!! I love the Granny Square project. Can't wait to get started! I'm so, so excited to join the "Great Granny Along"!! I just joined the Flickr group and I'm heading down to my sewing room to make your adorable little design boards. What a great way to keep cool in this awful heat - thanks! EXCELLENT Tutorial!! Thanks SEW much! I joined the Flickr group and I am excited to get started making a GG block. I have always wanted to learn to crochet a granny but quilting one is even better!Thanks for hosting. I'm in! Thank you for the inspiration and the great tutorial. I've joined the flickr group. Next in order I think I need to make a couple of those neat design boards. I'm thinking of starting with spare charms I have stashed away. Wow, I'm in. Something new to learn. I have a Flickr account cause I am doing a "Beginners Quilt-Along". Would love to win the fabric as I don't have a stash cause I am a "newbie" Thanks for the chance. I'm in. Can't wait to get started ~ This is an amazing tutorial....THANK YOU SO MUCH. Your quilt is so beautiful....brings back wonderful memories. Lori, thanks for a great tutorial and giveaway. I've joined the flick group. This is new to me so im excited! I am already working on a queensize granny square quilt so I won't be joining, but that doesn't mean I won't be looking at all the lucious quiltblocks that are going to be made. This is a wonderful, fun block, so if anyone hasn't made it before you really should. Uses up alot of little pieces of fabric. I'll post my quilt on my blog sometime when it gets finised. I love this block! I am joining along and have joined the flickr group!!! My mom made me a 'granny square' crochet afghan when I was really young (and I still have it!). Great block! Can't wait to give it a try! I joined the flickr group! Thanks for the chance to win! I'm so excited. Finally, something I think I can manage with my scraps. Thanks for the inspiration! Woohoo! I'm excited. I've been looking for the perfect scrap quilt to make a dent in my scrap stash. This is it. On my way to join the Flickr group now too! I found my Flickr account and I joined the Great Granny Flickr Group. So, Im set to go! Thanks again for such a great Sew Along!!! oh, i luv granny squares too! crochet and quilted! 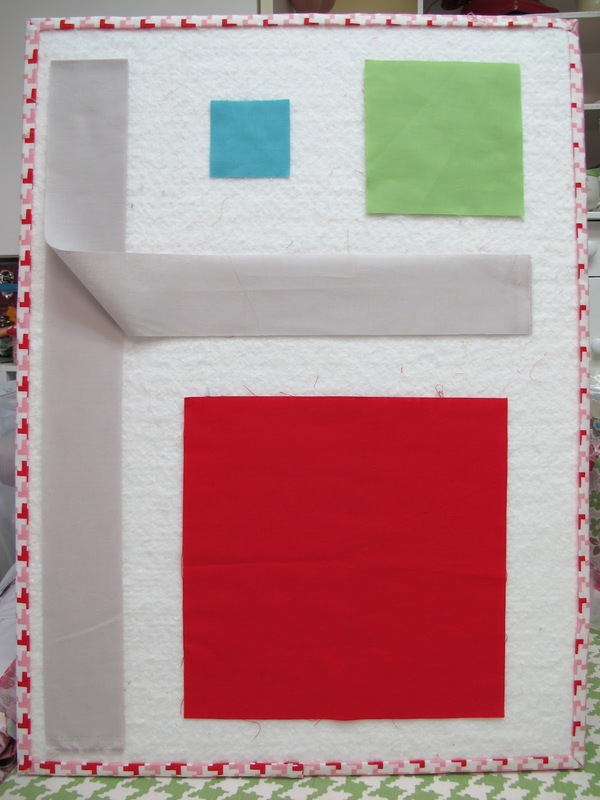 i have never done the quilted variety before...this is just what i need to get me quilting this summer! oh, and BRING ON MILLIE! Ok, I'm in. Going over to Flickr right now and joining. I have always wanted to do a quilt along so I am in! I just hope I can keep up. Love the great granny squares! Yikes, I am joining the great granny quilt and just joined flickr :) I forgot to put that in earlier. Thanks for the inspiration to do this. I joined your Flickr group, your darling quilt was the inspiration I needed. Can't wait to get started! Thanks for a great tutorial, quilt along and giveaway! This is great. I've been crocheting a granny square blanket for some time now. Now I want to make a quilt. I love this and have joined and have joined the flickr group already. Now all I have to do is start cutting and sewing. YAY!!! What fun! I am so in. Can't wait to see everyone's grannies! 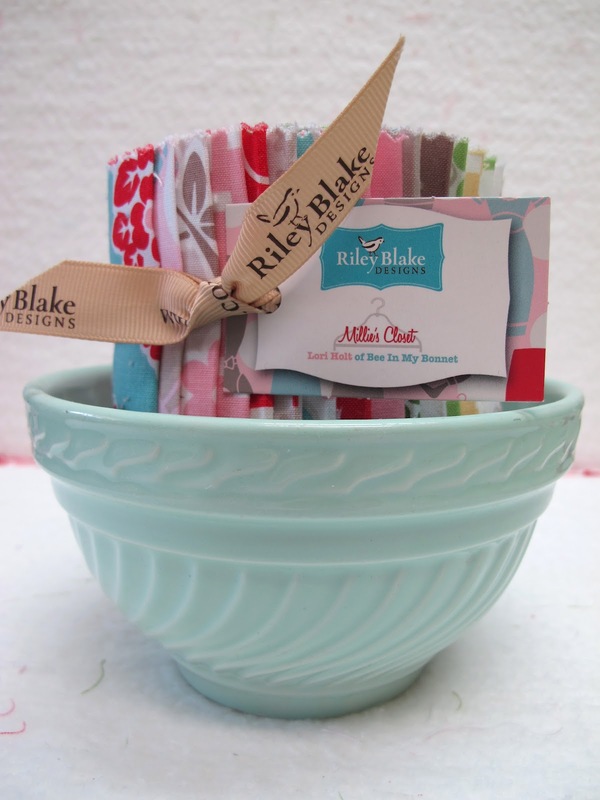 Love Riley Blake fabrics! Her color choices are so bright and cheery. Also joined the Flickr group. I'm so excited to join! I've never participated in a quilt along! Can't wait! How fun - count me in! I have joined the Flickr group. Wahoo! I've been collecting 2.5" squares to make some grannys, how fun to now have a group to keep up with as I sew them. I LOVE Granny Square blocks! I've made one quilt already but can't wait to make another using these larger blocks. I'm going to join the quilt along and sign up for the Flickr group. Great Grandmother come last of Feb.
make a great baby quilt!!! Thanks! I just said yesterday I wouldn't start any new projects. You got me with the cute names for the rounds on this block. I loved making it big and cutting it down, too. I just had to make one today to represent my MOM and grandmas. Thanks for the giveaway! Hope I win so I can make one just like yours. Your "Great Granny Along" project is stinkin' adorable. I can't wait to get up in my sewing room to make one. I've joined the Flickr group, and look forward to seeing everybody's creations! Count me in too for Great Granny Along. I have joined the flikr group and think this will be a lot of fun!! Sadly, I am camping for a month and have left my sweet baby, aka sewing machine, at home. But once I do get home I will join and add it to my blog! Joined the flickr group. I so want to make a great granny quilt....so let the fun begin. This is a great tutorial. I have never joined a quilt along but this is one I think I can handle. I will have to check out the instructions of how to do "flickr". Thanks for the great giveaway. OH! I love these blocks!! I am SOOOO in!!! Thanks!! This looks like fun! I've joined the flickr group and can't wait to get started. I've always wanted to join a quilt along and this gave me the inspiration I needed to finally do it. Thanks! 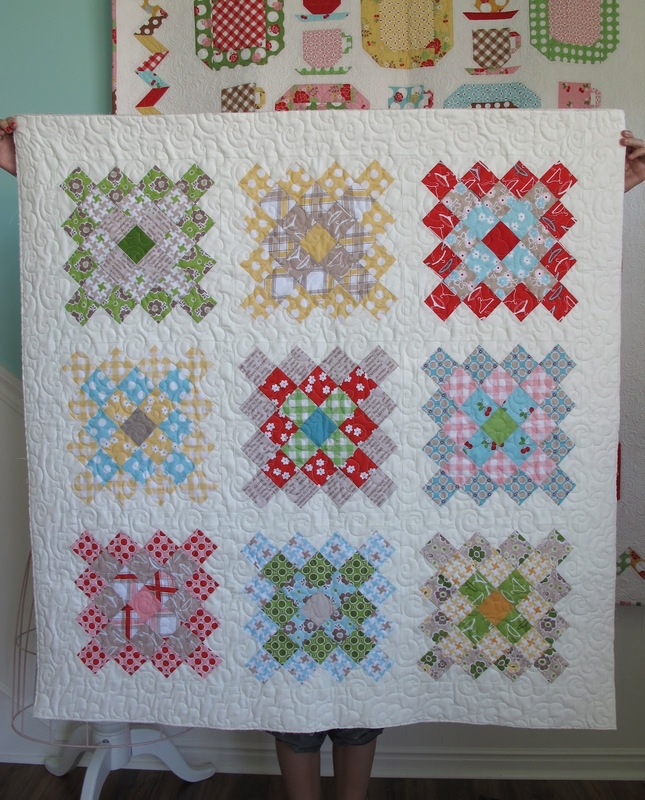 Such a great tutorial and quilt along, Lori! I immediately signed up for the flickr group! Now I am really excited about following your lovely tute to make some great granny blocks!! Thank you so much Lori! And I wanted to say thanks for the great portable design board idea. I read your tutorial yesterday and today saw the foundation boards on sale at Michael's for a dollar each. I scooped up a bunch and plan to make them in different sizes. Thanks so much! Hi Lori, I love this tutorial!! I downloaded some of the pages to get started! I would love this roll and if I don't win I will use something else! Thank You, Thank you! Hi, this is just what I have been looking for! 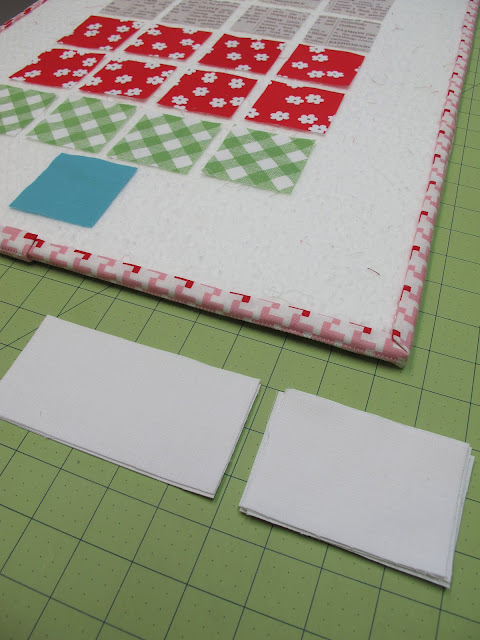 I already cut out fabric squares for 2 different projects. Can't wait to post pics! I am in and I joined the flicker group too! I love these granny squares! I can't believe I'm saying this (knowing what else I have to complete!) but I'm in!! I liked the Granny Square...but I love The Great Granny!! Can't wait to start making mine!! Awesome tutorial - count me in! I've joined the flicker group, and am amazed at the pretty blocks already posted! Thanks for this bigger Granny tutorial. I'm reading it and am a bit confused about the match white up with the gray and cut part, but, I'm sure I will be able to do it!!! My mother made granny afghans for all of the kids and grand kids and just everyone. I loved helping her pick out the colors and where to put them. Thanks so much for this bigger pattern, more doable for me. hugs to you for all your work on this. I am going to "try" to join the flicker group...because I don't really know how to do that. Always something to learn! I'm joining the fun and have joined the Flickr group! Thanks for the chance to win your adorable fabric. I'm so excited. I love granny squares!! I just joined the flickr group and added the button to my blog. I can't wait to get started!!!! Oh what fun! I've never figured out how to crochet granny squares so this is perfect for a fabric gal! I already joined the flicker group and I'm headed to dust off the sewing machine and get started! Thanks for a great tutorial--I can see I must make a portable design board, too. Thanks for great directions! I then went and sewed my white rectangles to the middle row after you clearly said not to! Sew, after I rip that out I will be on my way to getting my first block done. I will join the flickr group too and get my picture posted. I love the blocks and I have so many 2.5 inch strips already. Thank you for this tutorial, it is so much easier now! I also need to make that portable design board, so useful! I've wanted to do one of these quilts for a while now. Thanks for getting me started. Your tutorial is wonderful! I've joined your flicker group and will add the button to my blog. Thank you so much!!! I'm in (& have joined the Flickr group)! One of my favorite blankets is an old crocheted black granny squares! Ooh, love these bigger grannies! I'm in! Count me in for the Great Granny Along! I just signed up on the Flickr pool! I just cut 2 1/2 blocks yesterday that I realized that I can't use for my current project so wooohooo!, I know where they are going now. I'd love to win the jelly roll as I don't have much "scrap" around right now. I've joined the Flickr group and would love to follow along!! I think I will make a really scrappy one. So much fun! I've been wanting to make these for awhile now. I'm joining! I am joining in too!! I have been wanting to make these, but with bigger blocks...thanks for the awesome tute!! I joined the flickr group, too. Can't wait to see other people's blocks! I am going to join in on your quilt along. I'm in! I made my first block tonight and I joined your Flickr group. I plan to post photos this weekend. What a fun block! I will be definitely be making some of these "granny blocks" and funny enough I am also teaching myself to crochet this summer and squeezing this into my "quilt time" too!! Thanks for the chance to win some beautiful fabrics!! These blocks are gorgeous! I will definitely be making these! I joined the Flickr group and made my first block tonight :) I will post it to Flickr tomorrow! I am very excited about your sew along and great giveaway, thank you! I'm so HAPPY! I love your fabrics and your patterns. I've always wanted to do some of them. I'm so looking forward to this Great Granny Sew Along. Please enter me in your giveaway! I have avoided doing a granny QAL so far this year, but after seeingn a quilt over on Pleasant Home, I have the perfect fabric collection for this quilt. So I am joining along. I joined the Flickr group and am heading to my scraps right now to begin cutting. Sigh...How is it that I'm always tempted to join these things when I have 82 other projects on the back burner?! Lori, count me in. I made my block and I joined the flicker group too. Sounds like fun! I'm joining TGGAL and I joined the flickr group. 18" Doll Dress and a Giveaway!! !